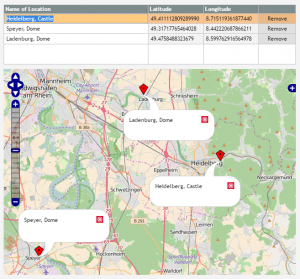 You application may react on way point selections and on clicks within the map (passing the exact longitude/latitude coordinates). 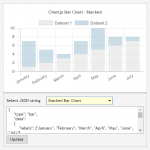 We now provide a component for integrating “Chart.js”. 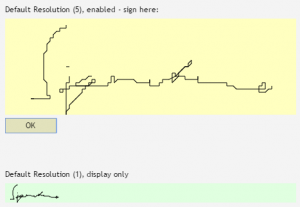 Chart.js is a really nice library for rendering charts within the front end. 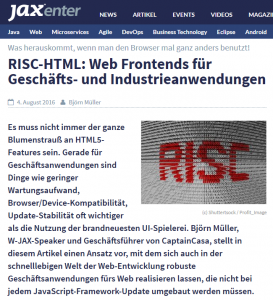 Please find details on Chart.js here. 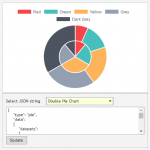 The configuration of the chart is passed as object or as JSON-string. 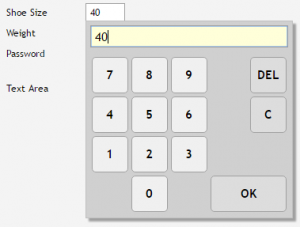 As result all features of Chart.js are available. 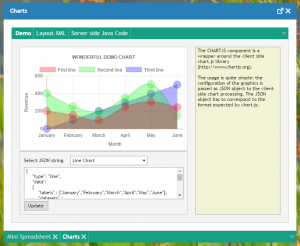 In the demo we show line charts, pie charts and stacked bar charts. The name of the corresponding component is CHARTJS. Today’s update (20160809) includes a component for anonymizing images. 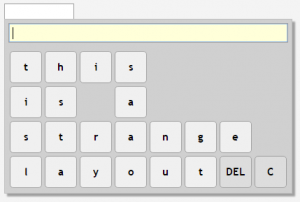 You user may e.g. 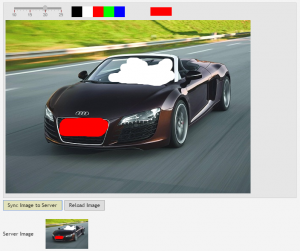 want to wipe out faces and/or number plates of cars before using an image within the application. The component is based on a general component, allowing to draw lines with different line size and line color. 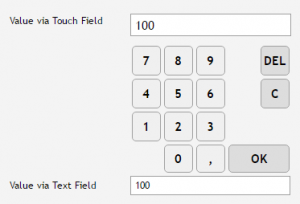 The component library of CaptainCasa Enterprise Client RISC includes a set of touch components. 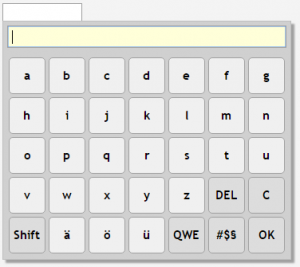 Virtual keyboards can also be added as dialog for normal fields. 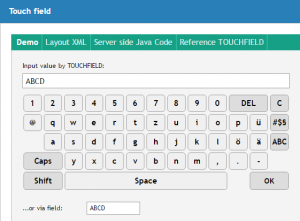 Dependent from the type of the field, the right keyboard type is opened.